Thanks for stopping by our Giveaway Blog. We are a Mom and Daughter Team, who love reviewing products, hosting giveaways and spreading the word on Social Media. Here you will find links, banners and buttons for some great blog giveaways. Click on a banner or button below. Have you signed up for an about.me page yet? It's a new site for personal analyetics. Where you can connect all your social media profiles and see how your doing. Plus keep them all in one place for easy access. Watch the video below to see what all the buzz is about! 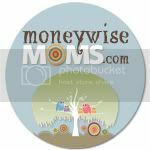 Sign up today and receive a free pack of about.me business cards from MOO. Disclaimer: I am a BzzAgent. I may have received some form of compensation for this blog post.